Ever wondered what is the most effective way to promote your business’s local event? 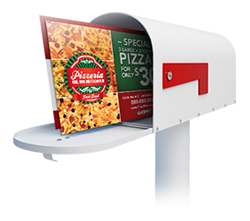 Wonder no more because Every Door Direct Mail (EDDM) can offer the solution you need. When you are organizing a local event, there are so many details to consider to ensure its success. From research, timing and logistics to partnerships and tactics, such an organizational process is intricate. But what is crucial for the actual attendance and success of the event is communication. If nobody heard about it, it’s like it never happened! Nothing is more important for the outreach of an event than selecting and attracting the right kind of guests. 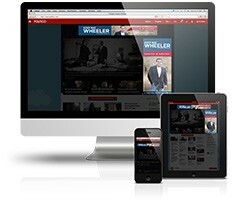 This ensures that the information you would like to disseminate reaches the right ears – and eventually wallets. That’s why it is worth investing in a communication strategy, and EDDM can be of great help for this. A local event needs pinpoint targeting of the right audience. As the topic and activity will concern only a local community, attracting precisely that community is priceless in the event organizing process. Due to the nature of Every Door Direct Mail, your business can carefully select the area in which you would like to send event invitations to potential customers called postal carrier routes. You can also select the guests according to other demographic factors such as age, gender and income, among others. The demographic information is provided by carrier route so that you can make an extremely educated decision on who and where to target. Such a focused approach gives you the best possibilities to inform those who will find your event useful and who will be interested in your products or services. Here is a free service you can use to get a free map report. With ready design templates or custom-made postcard design, your campaign is bound to attract the attention of your potential customers. Which businesses’ and organizations’ events can benefit? Restaurants, ice cream shops, auto dealerships, churches, charities – a multitude of local businesses and organizations can reap the benefits of an EDDM campaign in promoting their events. 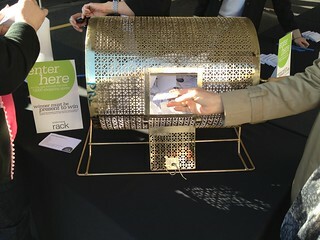 You can attach a raffle ticket to your postcard. Some of the events suitable for EDDM promotion are the opening of a new restaurant, ice cream parlor or other food place or special holiday celebrations at bars or restaurants. Test drives or showcases at the local auto dealership can get a huge audience if the news is distributed with targeted direct mail as well. Charities and churches can successfully use EDDM campaigns too. Informing your neighborhood about your church events or promoting your charity fundraising event is certainly easier with such a direct communication approach. Thinking in an unorthodox manner about your event promotion EDDM campaign is likely to bear fruit. Choose an interesting and catchy approach that will engage your potential guests. Just another postcard in the mail is not what they need. They will be interested in something new that promises to entertain or engage them in a meaningful way. You can achieve this with sharp and innovative copy text, as well as with innovative graphics and a general strategic approach to the campaign. If you are promoting a new restaurant or bar, think about a special coupon or discount for the opening day. The same approach can be used for other goods or services’ event promotion because reduced prices always get noticed. Still, in terms of your EDDM campaign’s content for promoting your local event, there is a limitless amount of possibilities to explore. If you are in need of some creative inspiration, check out imageMEDIA’s design solutions for your postcards.